I’ve been using a Xiaomi Redmi Note (4G/LTE) for almost a month and I can say that for the value of the phone, it’s been doing really great for me. Admittedly, the cheap price point comes with limitations (camera quality and storage size) but I’ve been able to work around them with some apps and I think everything has been impressive so far (given the said limitations). I’ve brought the phone around with me when my boyfriend came to visit Singapore and we went around like tourists, going out all day. I took pictures, used Google Maps, checked in places, kept my data on, browsed the web to look up info. Some days I would keep the hotspot on hours at a time to share my net with my boyfriend. For these few days that we were out and about, the battery would last me all day long. It’s been a dependable phone and for the most part, I have no complaints. I will talk about each one extensively under the cut, with some other apps I love and use that has really made me enjoy using my Redmi Note. Rooting is necessary to use all the apps so I can expand my storage use, and the Rootonly.zip was really easy to install via the Updater app. I had no problems at all and it worked as described. It’s important to note that this works only with MIUI 5 (as of 12/14/2014) as some comments on the forum said it doesn’t work with the MIUI v6 stable version just yet. OTA updates will be disabled also when root access is given, but there’s an Un-Root .zip that goes with it if ever you want to be able to get OTA updates again. I didn’t know which brand of SD card to get or trust, so I just followed the advice from this article. Although a bit outdated (published 29th of April, 2014), I didn’t really find any better article to refer to. Getting a class 10 is quite pricey and I could imagine that the people who would buy a Redmi Note would more likely be those who are on a tight budget. 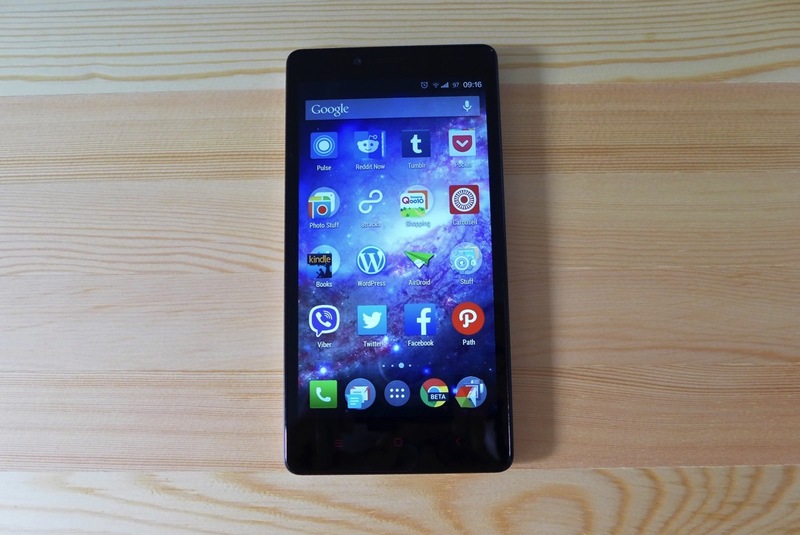 But it’s a good investment to get an enjoyable experience out of a cheap phone. Before I got my class-10 microSD card, the apps I had on my old SD card would take too long to load and would sometimes lag. It’s very frustrating and I would’ve ended up hating my phone and throwing it in frustration if I didn’t upgrade. So a class-10 microSD card is very important. Partitioning the microSD card is necessary to make Link2SD work. Luckily, someone had already published a tutorial on how to use Link2SD and also a tutorial on how to partition a microSD card for it. Some things to note: my first primary partition is FAT32, and the other primary partition that worked was ext4. I wasn’t really sure how big the ext4 partition should be, but since I had 60+ GB, I just divided it as 40/20, 40GB for FAT32 storage and 20GB for the ext4 partition for linked apps. I think now that maybe that is too much and 50/10 would’ve been more than enough. But it’s ok, I’m too lazy right now to re-partition. I bought the Plus version so I could link the internal files too, since the “internal files” are usually those extra files that makes app sizes bigger. “Linking” apps is the same as them being saved in the ext4 partition of the microSD card so I do end up with more extra space on my internal storage for the main apps I chose to keep in the internal storage. And have the default Install Location set to auto or internal. It seems like the Samsung EVO card is fast enough because I hardly notice a speed difference when booting up linked apps. Despite linking/moving apps to the SD card, it wasn’t enough to keep ample space on my internal SD card free. There are some apps, like Google Camera, that will save to the internal storage by default. Games also save .obb files to the internal storage. While the default Camera app saves to the external SD card by default, I prefer using Google’s Camera app so I need Pictures2SD, which can be used only with Xposed Installer. My external storage is wasted if I can’t install games, and because there are no storage options in games for the .obb files (the extra files some games download), I also have to install Obb on SD via Xposed Installer. Installing Xposed Installer on a MIUI phone will give this warning: “There seems to be a known issue (MIUI/Dexspy) with your ROM. Installing Xposed might not work or lead to sever problems.” I installed it still, and everything worked smoothly. I did not get stuck at the boot loading screen, nor did I experience any problems (I am using MIUI version 20.0.1). 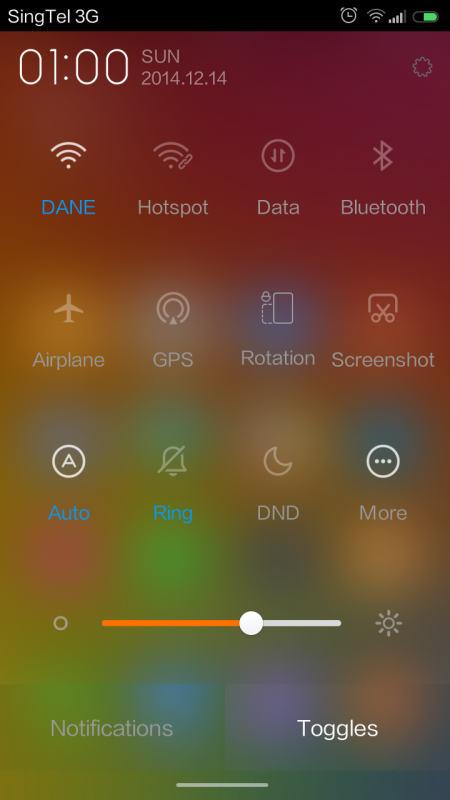 To get a more Lollipop experience, I switched around some default apps. I downloaded the official Google apps: Google, Google Now Launcher, Google Keyboard, Google Camera, Gmail, Messenger, Chrome (beta), etc. Default apps can be set in General Settings > Apps (under System) > Default app settings. 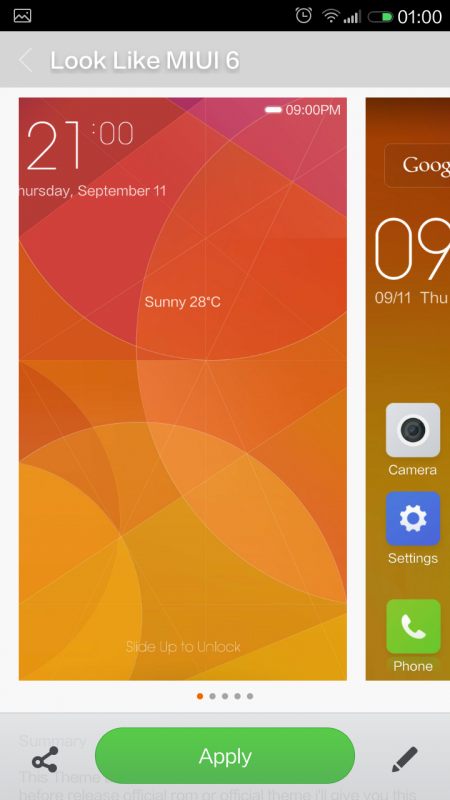 And because I genuinely do like to keep the MIUI on my phone (at least for now) and still want to get a taste of MIUI 6, I changed my phone theme to “Look Like MIUI 6”, which is a free theme I downloaded from the Themes app. I will not win awards with the Redmi Note’s camera, and even with the best lighting it will never be as good as my iPhone’s camera (even if I only have a now-outdated iPhone 5) — but VSCO Cam will make any picture presentable. There is no reason anyone can’t use this app because the filters are easier and faster to adjust than Snapseed (but not as specific), and definitely better than Instagram’s. I love all things wireless, and that includes managing my phone and transferring files/photos. Especially since I often have to get screenshots for work. A must-have for any tower-defense fan. Unique, beautiful art style on a tower defense game, with a story to boot. I always buy the new ones when they are released as support for the developers, but the older releases always get marked down after the latest is released. In-app purchases have insane prices, but they are absolutely not needed to complete all levels, in all difficulties. There is only one problem I encountered with all my tweaking and customizing: the “insufficient storage space” error. Error pops out when I try to update some apps. Solution: using ES File Explorer, navigate to /data/app-lib/ and delete an older duplicate folder of the app that refuses to update. Error pops out when I try to update ANY app. Solution: “Clean up the 2nd Partition” from Link2sd. If this doesn’t solve the problem, change the default install location of apps to auto in the Link2SD app Settings (or via adb on Terminal on my laptop). The Redmi Note was only really lacking storage space for my everyday use. But the work-around via rooting and additional apps quickly solved that problem for me and I’ve been enjoying my experience with it so far. 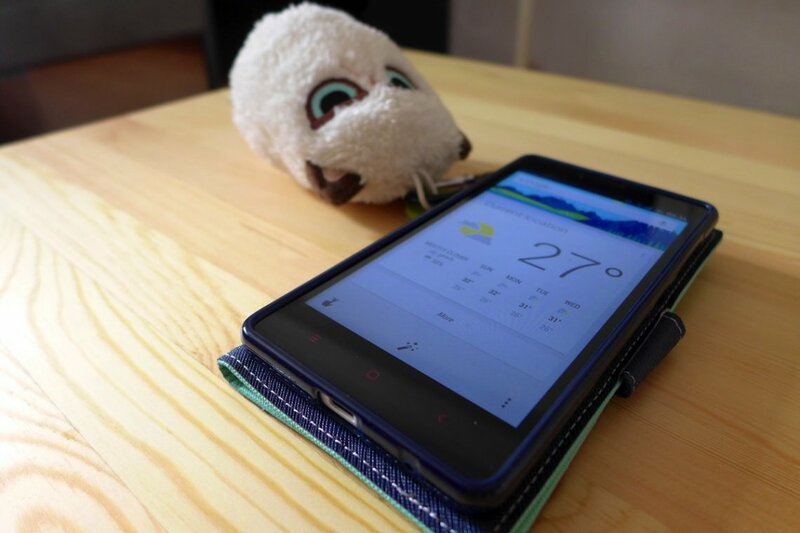 I initially bought the Redmi Note as an experiment: to study how I will end up using a 5.5″ smartphone (I don’t really know if it’s big enough to be described as a “phablet”, as much as I hate the word). I wanted to know if I’d like having a huge phone, love it, or hate it and to decide if I really want an iPhone 6 Plus. I couldn’t use the company’s iPhone 6 Plus for this experiment because I had to use it as I would a personal phone. I have to use it everyday, for all my personal needs, to experience why some people love huge phones. And I have. Consumption is really fun on a bigger phone and I’ve already been using my Nexus 7 less. Before, I thought I would never want a huge phone since my iPhone 5, small as it was, was a good fit on my hand. But as it turns out, it’s been pleasant for me. I admit that reading blogs and news, and watching all my Asian dramas on a bigger screen during my daily commute has been more enjoyable for me compared to doing the same things on my smaller iPhone. However, I think that if I use a big phone in public back in the Philippines, it will be easily snatched away from my hands! I still handle it a bit clumsily because of the size. Luckily, I’m currently in Singapore where I can live without that fear and happily enjoy consuming and playing and taking photos with a big, sometimes awkward-inducing smartphone. Thanks for your excellent tutorial. My wife also upgraded from iphone 5 to Redmi Note 4G, and she is hitting the same problem with lack of internal storage. 6GB, or even 10GB internal storage is too small for storing even modest number of apps and data. But at least there is a way to solve it using your instructions! hi , i am a newbie. i am geeting error ‘update.zip failed- signature verfication error’. can you please suggest how to solve it. Thanks! I have a quick query on the rooting part. The linked ‘native root in en.miui.com, shares 2 files, namely ROOT.zip and UNROOT.zip. Is that so?? I found the su file inside unroot.zip file.